In this roundtable discussion, BUSRide Maintenance spoke with experts in the field of collision repair about common pitfalls, hidden factors and recent innovations. What are your capabilities in structural collision repair? Dale E. Carson: For over 30 years, Complete Coach Works (CCW) has dedicated its resources toward the retrofit, rehab, and remanufacture of buses. Among our services are collision repair solutions. We offer a wide range of services including major structural, body repair, interior repair, paint and decal, mechanical and electrical repair, glass repair, cooling system, hydraulic system, emission system, etc. 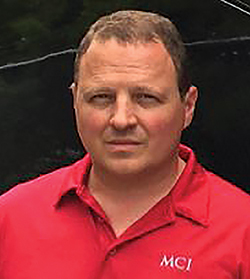 Cary Kadyschuk: As an original equipment manufacturer (OEM), MCI Sales and Service has unmatched capabilities to repair a coach with access to all the technical drawings and raw materials and components that serve the MCI assembly line. My goal is to turn all customers’ damaged coaches to like-new condition, and we truly understand how to accomplish that. team. All our Heavy Repair technicians are factory-trained and realize that if you are not using OEM parts to repair MCI fixtures, and if they are not welded and installed using the exact same OEM-engineered procedures specified when the vehicle was on the assembly line, the repair will not be up to our reliability standards. 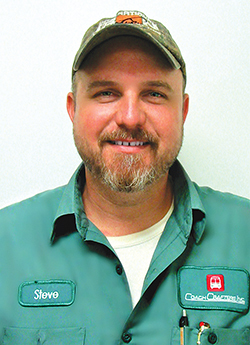 Jon Savitz: Collision repair is one of the most technically demanding trades a company can provide to the motor coach industry. This trade requires anyone who offers this service to have precise state-of-the-art facilities outfitted with trained and certified technicians and specialized equipment. All three components carry the same priority in executing any repair, whether minor or structural, so that the vehicle returns to its pre-collision condition. ABC is a full-service collision and frame repair company. We have full service paint and body repair shops in Florida, Minnesota, Texas, New Jersey and California to cover the North American market. Our technicians are trained and certified in collision repair and have decades of experience repairing damaged coaches using cutting edge technology. and rebuilds; thermal reconstruction; suspension repairs; coach refurbishment; full paint and graphic services; glass replacement; etc. Steve Walther: CoachCrafters has complete structural collision repair capabilities for transit buses and other heavy-duty diesel vehicles. We specialize in all aspects of collision damage. This includes, but is not limited to, frame repair, structural repair and fabrication, mechanical diagnosis and repair, electrical repair and fire restoration. We also provide full paint and decals, fiberglass body repairs, flooring and interior repairs. In addition, we are proud of our longstanding history of working closely with the OEMs to provide OEM parts, engineering support and troubleshooting as needed. When seeking out a collision repair expert, what pitfalls should operators avoid? What should their “checklist” look like? 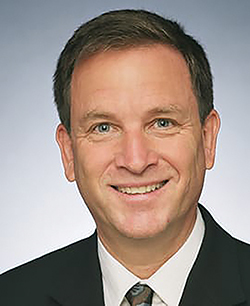 Walther: The major pitfall operators should look out for is hidden costs. Hidden costs can quickly increase the cost of your collision repair. Operators need to ensure that vehicles are inspected as thoroughly as possible to capture the most amount of damage during initial inspection. Operators must do their research and include these items in their checklist: Experience, Equipment and Versatility. Many collision shops do not have the necessary experience and equipment to do larger and more complex repairs. This results in the importance of collision repair versatility. Expert collision repair shops need to provide a wide range of services, because you never know what complication you might encounter with collisions. Some of the essential services are structural, electrical and mechanical. The investment made to ensure that the technicians are able to make complete repairs is critical. 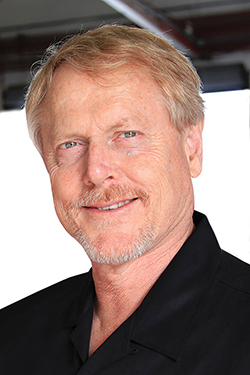 Carson: Choosing a collision repair expert can be a challenging process and there are a couple of pitfalls that operators should avoid. One suggestion is to avoid a fast repair. To receive a high-quality repair, the process should not be rushed. A quick repair will do more damage and cause more frustration in the future. The second recommendation would be to avoid a cheap repair. Every dollar counts and although a cheap repair is desirable, it may not always be the best option for a repair. In fact, it can result in flaws and defects which can lead to costly re-work. There are some tips to help the process of selecting a collision expert. The first tip is for operators to examine a shop’s reputation in the market. Shops should be experienced and have certified technicians available. The second tip is for operators to obtain a list of recommended repair shops from the vehicle manufacturer which can save operators time in conducting their own research. The third tip is for operators to find a shop that can perform all the necessary repairs by having the complete and proper equipment. Kadyschuk: In choosing the right facility for the repair, most owners in this situation only have two questions on their checklist – how much will it cost and when will it be ready? But sometimes choosing a repair facility by that criteria can lead to repeated returns to the repair shop months after for fixes that should have been made right the first time. I know, because our team at Heavy Repair ends up taking over or repairing a lot of unqualified shop work, which can cost thousands of dollars. • Is the repair shop OEM or certified by an OEM to perform repairs– using only OEM parts, specifications and procedures? • Are the technicians trained and certified by the OEM or ASE in the proper classification for my vehicle? • Is the shop’s welder certified? • How organized is the shop? Are tools and service bays marked with specific locations? An organized shop is a good indication of work performance. • Will the repair shop inspect my vehicle completely, including all systems that may have been affected by the collision or damage? • Will the repair shop present a detailed estimate and answer all questions pertaining to the proposed work? • Will the exterior work proposed by the shop return my vehicle to its pre-collision state, including all paint, trim and graphics? Is the paint OEM-approved? • Has the repair shop worked with the insurance adjuster to ensure all damage related to the incident will be covered to prevent unexpected charges and repairs? • How much will the repair cost? What portion of the bill will be my responsibility after insurance and how will they warranty their work on labor and parts? • When will the repair be complete? Has the repair shop provided a tentative date for repairs in line with the detailed estimate? What “hidden” factors can drive up structural collision repair costs? Kadyschuk: A collision or internal damage is never a completely isolated event. What’s immediately visible may not be all that requires repair. An impact inertia can travel throughout the coach like a shock wave and compromise other areas not seen in the immediate impact area. For example, if the front passenger’s corner of the coach is hit, the stress can also impact the bogie support that the front axle attaches to. Only an experienced OEM-trained heavy repair professional using specific measurements will be able to identify this damage, which would be hidden to the untrained eye. Again, untrained shop mechanics can drive up both the immediate and aftermath cost of any repair. Presenting an operator with an incomplete estimate that will not return their vehicle to its OEM factory-engineered state will add time and cost to fully repair. And if they’re not working efficiently with adjustors to identify and properly cost out all repairs, insurers won’t receive a complete and accurate estimate. Most operators are not aware that their repair shop can request a qualified heavy equipment adjuster such as those affiliated with the National Truck & Heavy Equipment Claims Council (NTHECC) to ensure they have the experience to capture the true scope of the repairs. Carson: “Hidden” factors are those that cannot be seen until after the vehicle is disassembled. These factors include structural or frame damage that might not be apparent as they are hidden beneath the obvious damage. Walther: Usually, structural components that are damaged cannot be seen until the vehicle is disassembled. Some of the most critical factors are frame damage and internal engine or transmission damage due to the impact of the collision. Examples include the camshaft inside the engine or an extrusion post hidden behind a panel. These factors will significantly increase the repair costs. Savitz: Some hidden factors that drive up repair costs include: hidden damages unforeseen in initial evaluation; electrical equipment that failed due to the collision that could not be tested during the estimating process; bent tubing and pinched electrical harnesses; and extended downtime due to inefficient parts supplies or inefficient ordering practices with the collision repair shop. What factors are driving innovation in the field of repairing extremely damaged buses? Savitz: The main factor driving innovation in the field of repairing extremely damaged buses continues to be advancements in technology. It is critical that collision buses have their work performed by people who have been trained and understand how critical the latest safety-related technology. Training and software are just as important as any other tool in the body frame shop. No shop is complete without any one of these components. Walther: The top factors driving innovation in repairing extremely damaged buses are repair technology and information availability. The advances in repair technology include laser measuring techniques, computer diagnostics and frame equipment. This type of equipment allows for a more precise and error-free diagnostic or repair. Also, technology has facilitated communication between OEMs, collision shops and vendors. We now have more information instantly available and at our fingertips, than we ever imagined. As a result, we are able to provide quicker and more holistic solutions to our clients. Kadyschuk: Technology is changing everything, but from our standpoint, the biggest innovation in heavy repair is training. We’ve reached a point where motorcoach-specific training is on the rise, not adapting heavy truck repair skills to what are essentially very different vehicles and systems. It’s about the qualifications of the people behind the repairs, and MCI Sales and Service invests heavily in training our technicians through our ASE-accredited MCI Academy. Carson: In a technologically-driven society, innovation is of the utmost importance to maximize our efficiency. Our skillset and equipment being utilized affects our goal to minimize downtime. An example of our high-quality equipment includes our certified frame puller which straightens the frame to its original shape. We also utilize precision-guided leveling tools which help us measure efficiently and accurately. In addition to our technologies, our skilled craftsmen and ASE-certified technicians are highly qualified to ensure the success of our repairs. Do you have a real-world example of a particularly difficult or complex structural repair you completed for a client? Kadyschuk: We’ve done everything – we’ve repaired both whole front and rear sections, complete roof frames from bridge strikes, complete side frames from rollovers and complete uppers from thermal events. I should mention that MCI recently put our Heavy Repair team members on prototype assignments as well, which is very gratifying – involving the professionals who put coaches back together as team members on an original design. Last year, our skilled Heavy Repair technicians were called upon to complete the frame for a prototype of our new J3500 model. We worked through the job as we always do, using MCI OEM engineered parts and procedures. We’re very proud of our results. Your readers can be assured that we will apply the same skills and dedication assuring their coaches are repaired to the highest standards of reliability and like-new condition, so they can enjoy many profitable years ahead with their MCI vehicle. Savitz: We have seen literally hundreds of buses that have been damaged in one way or another over the years. One that strikes me as being a particularly interesting challenge because of its complexity was an articulated bus which had been struck by a train. This bus had so many compound stretches, bends and twists that it was difficult to locate a good reference point for stopping the tear down process and beginning the repair. We worked through the evaluation process to ensure that we had enough of the bent parts cleared away and that the remaining frame section could be straightened out. We then took measurements, conducted calculations and created a strategy for our repair process. We placed the lower half of the trailer portion of the articulated bus onto our Medallion Frame straightening machine and pushed, pulled and twisted until the lower frame was straight and within specification. Once the new frame section arrived, it fit perfectly together. After we were sure we had the geometry of the bus right, we reassembled the coach and reattached the damaged rear of the bus to the forward bus and sent it through our laser alignment process for the steering. We worked with the factory to make sure that we had taken all the safety precautions necessary for articulated buses. Because of the complexity, we chose to verify every aspect of the electronic steering control system to ensure we had all the safety devices and sensors operating as designed. The electronic steering system did not work at first due to failed nodes as a result of the collision, but once replaced and reprogrammed, it worked. The bus is now operating again like new. Documented testing procedures will help to ensure that every step of the repair process is taken, and no details are missed. Carson: Over the years, we have had a countless number of complex structural repairs. 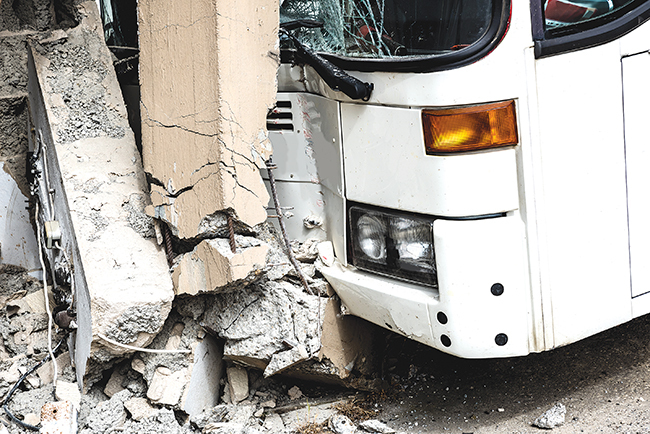 One bus collision in particular arrived at our facility with its front and substructures severely damaged. At a glance, we were able to tell that this repair would require an extensive amount of work. Our certified technicians carefully assessed each component. Our craftsmen then removed the damaged front structure. They cut, fabricated, and welded the front chassis. With our certified frame puller, they were able to straighten the rest of the damaged frame. In addition to the frame repair we had to prep and undercoat the undercarriage. After the frame was brought to OEM standards, they reinstalled the front cap assembly, repainted the interior and exterior of the bus, and recertified the CNG fuel system. The restoration also included realignment of the vehicle’s front end as well as replacement of the wiper system, front dash/driver controls, defroster assembly, steering column assembly, wheelchair ramp, windshields, the front headlight assemblies, and floor coverings. We’ve shared this story with the intent of helping those who may need to assess collision damage as it relates to the extent of repair work needed. Walther: About a year ago, one of our clients was having a frame cracking issue that was causing many buses to be disabled from service. By working closely with the OEM and our own engineering research, we were able to provide a repair solution. We recommended installing an engineered structural-repair kit. This option would provide a high quality solid reinforcement and offer the client a cost-appealing option. It was complex because it required disassembly of the bus to access a critical area of the rear framing. Also, the structure usually required a realignment. In this case, we proved that complete parts replacement is not always better than repair. Based on our research, the reinforcement kit would be more secure and durable. The repair solution that was provided offered the most for the client’s investment. It was the most effective and efficient.